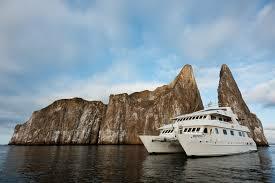 Book a wonderful cruise tour around the Galapagos Islands enjoying the comfort of the first class yacht Seaman Journey. 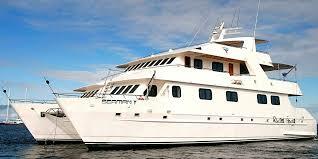 We offer 3 options for you with this nice yacht. 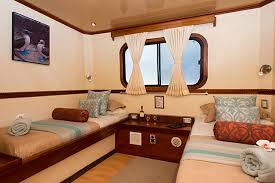 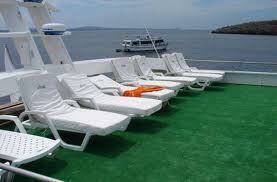 • Number of cabins: 6 standard twin cabins main deck, 2 suites upper deck. 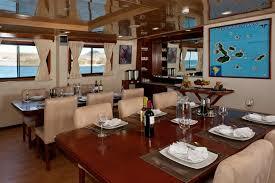 • Other: TV, DVD, stereo, bar , sea kayak.